Dr. Justin Rodriguez was born and raised in Sun Prairie, Wisconsin and is a 2007 graduate of Life University in Marietta, Georgia. He holds a bachelor of science in biological studies and has his doctorate in Chiropractic. He was a member of the two time National Championship hockey team at Life as well as helping to start the “full spine club” (an adjusting only group that focuses on technique). 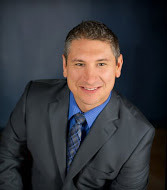 Dr. Rodriguez is currently a member of the American Chiropractic Association, the Wisconsin Chiropractic Association, and the Northside Business Association. Growing up playing sports, Dr. Rodriguez takes special interest in treating athletes as well as those people with special needs such as Cerebral Palsy.